Clusters of yellowish-green autumn flowers followed by spherical, black fruit and small, lustrous, three-lobed, dark green leaves with a prominent golden-yellow centre. 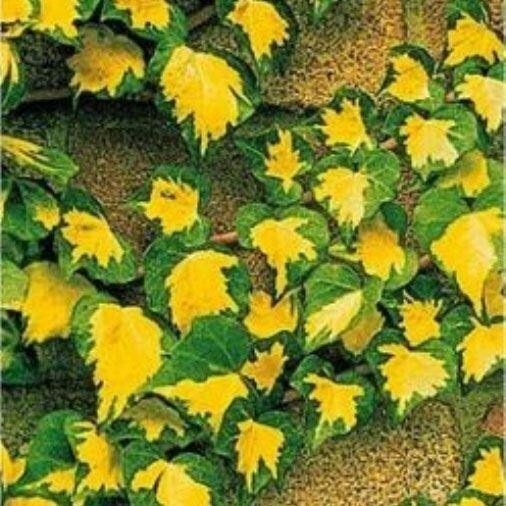 This popular, variegated, evergreen climber is perfect for covering a sunny or partly shady wall. Slow to establish and then fast-growing, it prefers a fertile soil. Supplied in approx 2-3 litre containers.